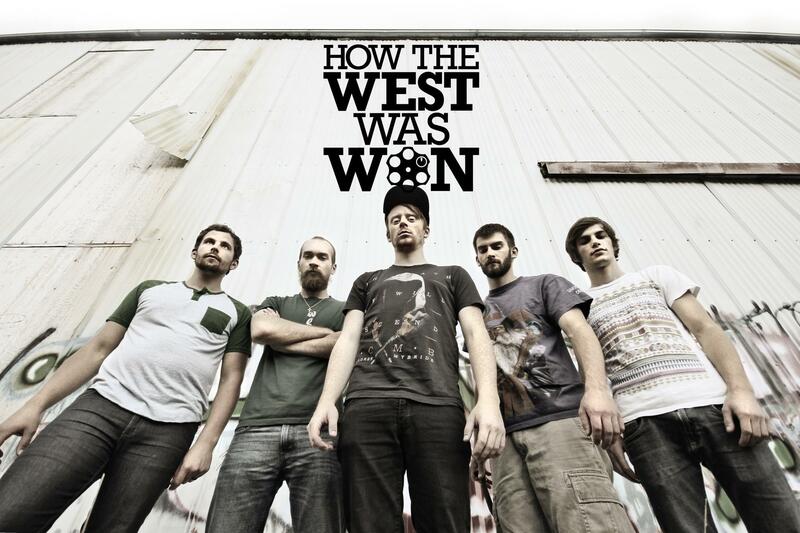 Local metal band How the West Was Won may still be learning to crawl, but it’s come a long way from its early days jamming in a Canby garage. The five-man group’s first real single, “Oregon Throwdown,” just dropped on iTunes, and the band plans to release an EP later this year. Had you told frontman Jon Curtis just about nine months ago that this would be happening now, he wouldn’t have believed it. At the time, the outfit had yet to book a show and was on the verge of breaking up. “We had a point where we said, ‘We’re either going to do this, or we’re going to have to break up,'” Curtis said. How the West Was Won’s growing pains were far from unusual for a small-time band with bigger-time dreams. The band members live, work and go to school all over northern Oregon, so synching up schedules and scrounging up gas money for jam sessions is often a challenge. It’s also Spencer and Wipff who worked to put the band together in the first place, according to Holmes. They reached out to friends and friends of friends until they’d assembled a lineup that has remained relatively static throughout the band’s short career. Bassist Peter Elliott completes their roster. One need not dig much more deeply into the group’s history to uncover ample evidence of their humble beginnings. My favorite example is that Spencer first honed his skills on the video game “Rock Band” before picking up a set of real drumsticks. As for Curtis, band members sought him out for their lead vocalist after hearing him sing and head-bang through his favorite metal songs during downtime at a local camp several of them had worked at together. And Holmes, a classically trained pianist who had little taste for metal bands before he joined one, had to borrow a keyboard for practices early on. He said he would return the instrument to his tiny church in Mulino every week, just in time for Sunday worship. Mere weeks after the group nearly “fizzled out,” their booking agent called to announce they’d been cleared to take the stage at Branx PDX. Their second show, they opened for Call is Forgotten at The Hawthorne Theatre, Holmes said. And inexperience wasn’t totally to blame for some of the band members’ jitters. They classify themselves as a Christian band — a rarity in the heavy metal scene in general, but perhaps even more so in Portland”s — and Curtis said many of his lyrics derive from his faith. And How the West Was Won doesn’t exactly play its concerts in churches and worship halls. Both said the experience has been a positive one for them, and they’ve been able to “have some really cool conversations” with concertgoers after some of their shows. And discussing religion isn’t their only aim. According to Holmes, band members also pour their energy into making their shows fun and music top-notch. How the West Was Won will hearken back to their Canby roots next month for a concert at Bethany Evangelical Free Church. The free show starts at 6 p.m. Aug. 3. For more information on the band, visit its Facebook page.